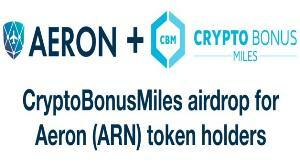 Prize: Aeron 1.250.000 CryptoBonusMiles Giveaway. 250 Winners, 5.000 CryptoBonusMiles per winner and guaranteed airdrop for ARN holders. What you must do to enter: Follow the 9 ways to enter for the chance to win.